The prophets of the Old Testament use a wide variety of metaphors to describe God and to portray people in relation to God. Some of these metaphors are familiar and soothing; others are unfamiliar and confusing. Still others portray God in ways that are difficult and uncomfortable--God as abusive husband, for instance, or as neglectful father. Julia O'Brien searches the prophetic books for these metaphors, looking for ways in which the different images intersect and build off each other. When confronted with disturbing metaphors, she deals with them unflinchingly, providing a sharp critique and evaluation of the interpretations of these metaphors for God. 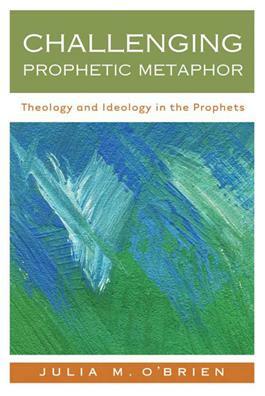 Giving particular attention to the possible uses of these metaphors in the church today--for good or ill--O'Brien listens to the fullness of the prophetic messages and points us toward new ways to read these theological metaphors for a just faith today.